Lucas Farley was officially sworn in as the newest officer in the University Police Department during a ceremony on Tuesday, Aug. 29. 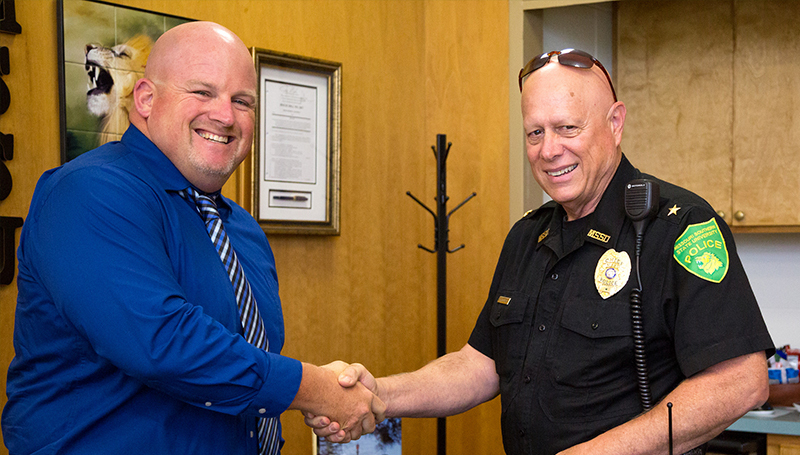 Farley previously worked for the Joplin Police Department before entering the field of education. After teaching for 13 years, he said he felt called to return to law enforcement. “I’m definitely excited to get back to work in the law-enforcement field, and Missouri Southern is a good environment to be in,” he said.